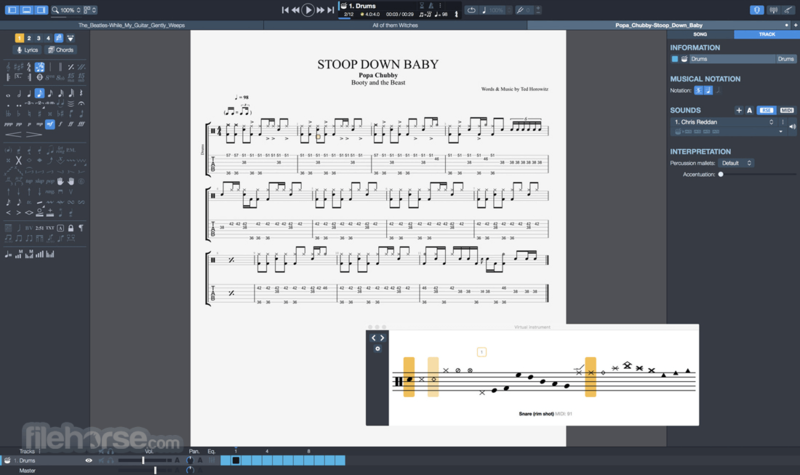 Guitar Pro is a sheet music/tablature editor for 4- to 8-string instruments: guitar, bass, banjo, ukulele. This is an ergonomic, comprehensive tool for beginning to advanced musicians who wish to make progress, compose, or simply play along on their guitar. 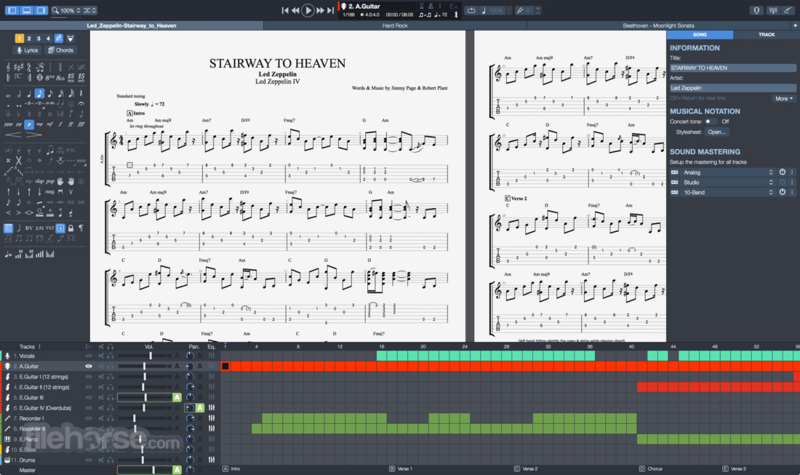 Guitar Pro is now the standard reference in the world of tab-editing software. 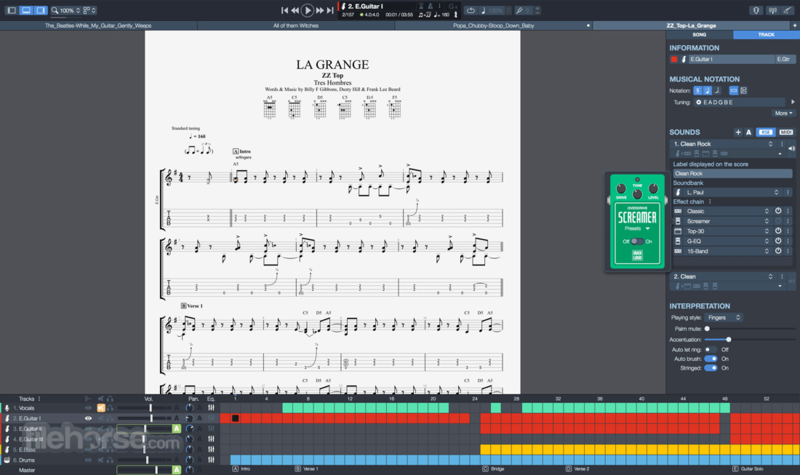 Its simple and ergonomic design have popularized the Guitar Pro file-format, thus making it possible to access hundreds of thousands of tabs on the Internet. The software allows to edit, listen to, print, import, and export scores into several formats: .gtp, .gp3, .gp4, .gp5, .gpx (proprietary formats), MIDI, ASCII, WAV, PNG, PDF. Download Guitar Pro Offline Installer Setup for Windows. As a score player it offers a series of integrated tools to support you in learning to play songs whether you can read music or not: adjusting tempo, playing in loop, chord and scale dictionaries, tuner, metronome, independent volume-tuning for each track, virtual keyboard and guitar fretboard. It also offers the following options for the display of scores: full screen, horizontal/vertical scrolling, single-track/multi-track view, and zoom. 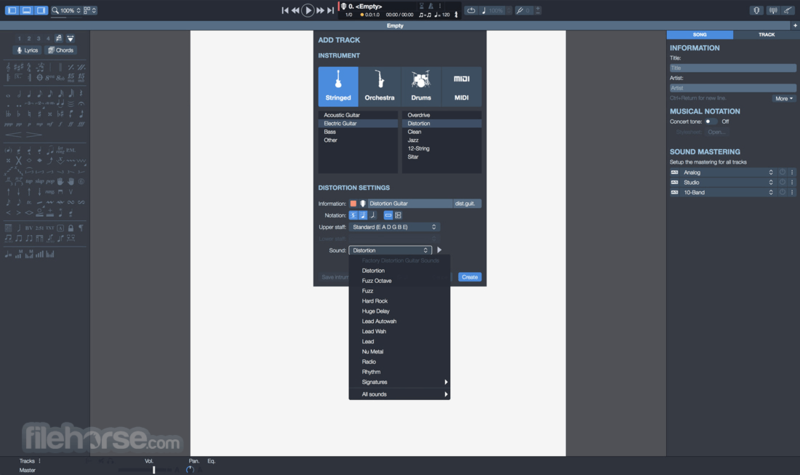 The software is furthermore fitted with a Realistic Sound Engine (RSE) including more than a hundred instruments (electric and acoustic guitars, basses, keyboards, brass, winds, and percussions), a soundboard to entirely customize the sounds of every track, and sixty types of effects modeling (amps, effects, master). Print your tabs, read it on your Guitar Pro app for smartphone or tablet, send it by email or save it on your hard drive at any time. It is never been easier to share your music with your friends or your students. 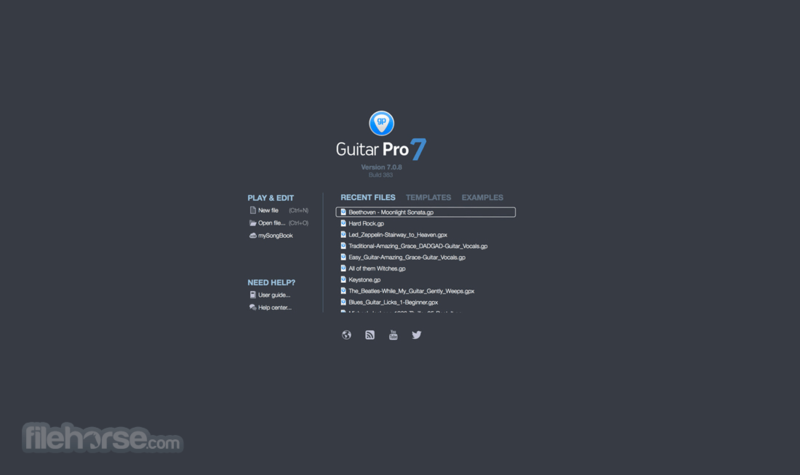 Download Guitar Pro Offline Installer Setup for Windows.